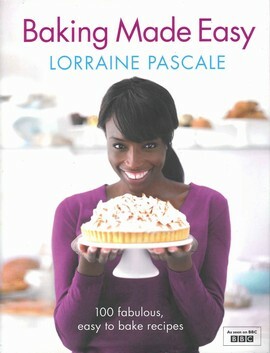 Win a copy of Baking Made Easy By Lorraine Pascale | Anyone For Seconds? A great prize and a book I have never got around to buying. I have just posted my current favourite cake and an easy one too. Treacle Gingerbread Loaf. Favourite cake – lemon drizzle. In any form – round, loaf or traybake. Victoria Sponge from my ageing exercise book from school! I’m addicted to red velvet cake. I haven’t found the perfect recipe yet, so I enjoy tinkering with it, trying new things until I get what I’m looking for! My favourite cake is a a classic Victoria Sandwich with home-made jam and cream! I still think that black forest gateau with boozy cherries and lashings of cream is a guilty pleasure!